Macrophage. 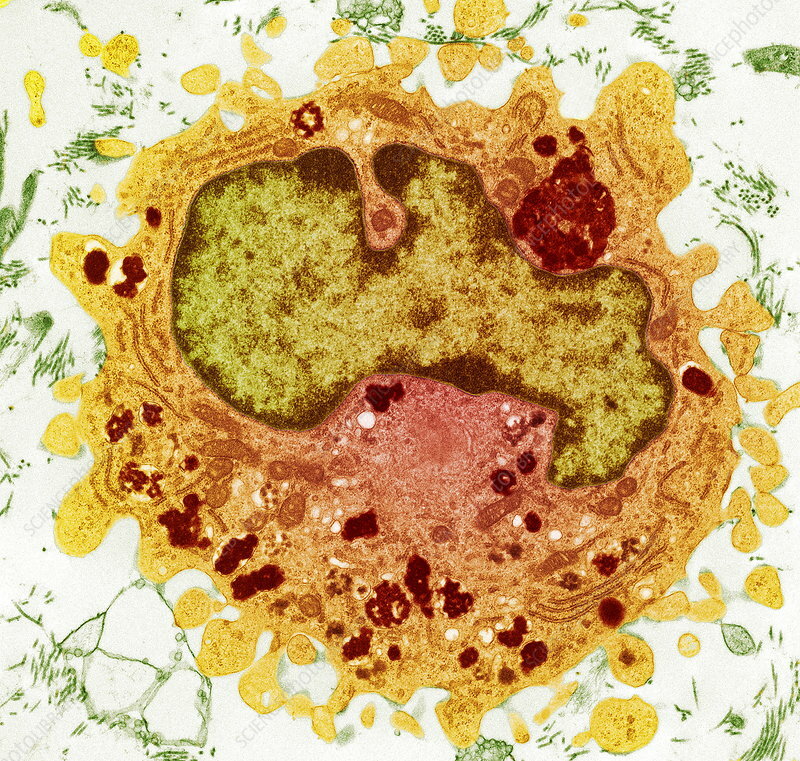 Coloured transmission electron micrograph (TEM) of a macrophage cell. The cell's nucleus is green. Endoplasmic reticulum (ER, brown strands) in the cell's cytoplasm produce and modify proteins and other macromolecules, such as lipids. Lysosomes (dark brown) contain enzymes for digesting foreign particles. Macrophages are a type of large white blood cell that are found in tissues rather than circulating in the blood. They recognise foreign particles, including bacteria, pollen and dust, and phagocytose (engulf) and digest them. Magnification: x3000 when printed 10 centimetres wide.